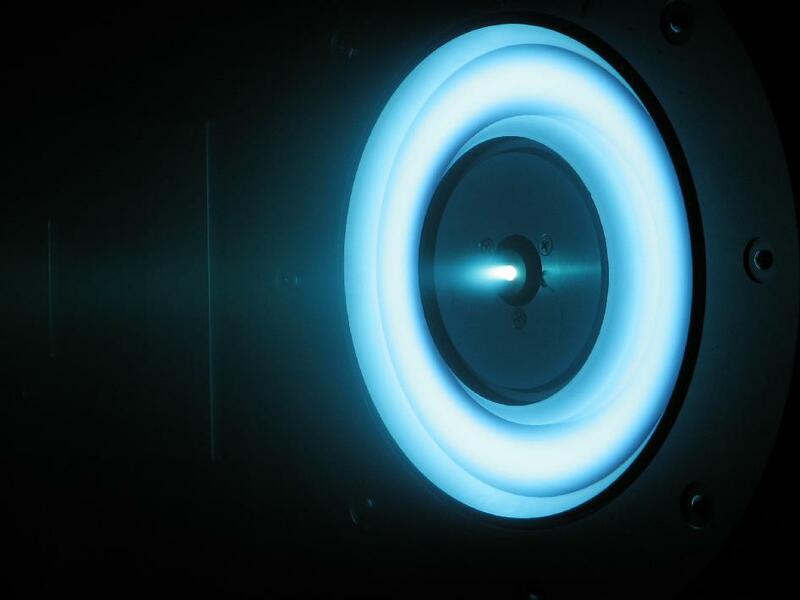 The new image shows the cutting-edge solar-electric propulsion thruster that is currently in development at NASA’s Jet Propulsion Laboratory in Pasadena, California. An earlier version of this design is currently flying on NASA’s Dawn mission — NASA’s first purely exploratory mission to use ion propulsion. This new design is currently being considered for use as a part of the Asteroid Initiative — NASA’s proposed mission to capture a small near-Earth asteroid and then put into orbit near the Moon, where astronauts can then explore it easily. The great advantage of ion propulsion — and why the technology is viewed as having so much potential — is its efficiency. The technology offers the possibility of traveling further, faster, and cheaper than conventional technologies allow.